Instagram has turned out to be popular as well as an engaging social media application and it is currently more famous in comparison to the other social media sites. With more than 8 million registered accounts of brands on Instagram, it has already been proven that Instagram is the ideal platform for building a brand as well as social media marketing. On a daily basis, 1.6 million posts are liked. Most of the Instagram users belong to the age group 18 and 19. This is extremely valuable for those businesses who are constantly trying to build their audience base. It is true that Instagram is extremely competitive but if you have properly planned marketing strategies, your business is going to get the ideal exposure. Given below is the list of the strategies that can help in driving real-world results. Before you are starting the journey of marketing on Instagram, it is your responsibility to switch to the business account. Given below is a list of the benefits that are associated with switching to the business profile. • Apart from visiting the website, the followers are going to have the option of contacting you whenever they have any questions. • You will be able to access the Analytics tool of Instagram where you will be able to give statistics like the impression as well as the reach of your posts. • It will be easy for you to create as well as post Instagram advertisements without having to depend on the advertising tools of Facebook. Making this switch is simple but you can be assured that it is going to bring a lot of difference to the marketing strategy. 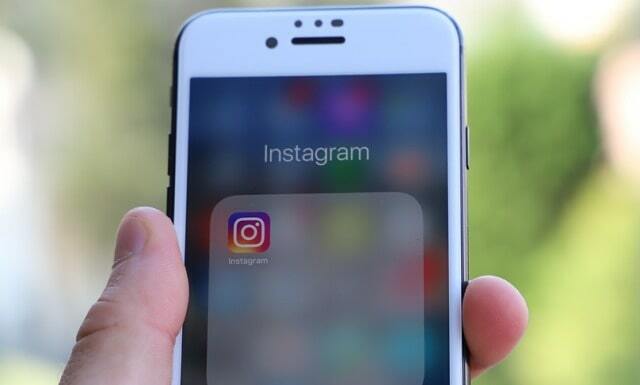 Companies that use Instagram advertising are rising on a regular basis and the total number of advertisers is going to surpass the popular platforms like Twitter. Given below is a list of the reasons as to why you should consider advertising. • The advertisements are not only engaging but also non-intrusive, which will help you to get better conversion rates. • You will have the freedom of using both videos as well as images when you are promoting any service or product. If you are interested in reaching out to the potential customers who are present on Instagram, you have to consider leveraging the influencers who have worked hard to build the audience base. If you partner with the appropriate influencers, it is going to be easy for you to gain followers as well. An effective way of increasing the reach is by promoting the Instagram posts on the other platforms as well. You might already have followers or fans on Twitter, LinkedIn, and Facebook. It is a good idea to invite them for following your Instagram account. Moreover, it will also help in generating more exposure to Instagram content. You can also get real Instagram followers when you decide to cross-promote your posts. You cannot deny the fact that the competition on Instagram is extreme. This is why having an ideal marketing strategy is crucial. Ensure that you are following the tips that are mentioned above so that you can get real-world results. Author Karen Anthony is a Business Tech Analyst. She is very responsible towards her job in technology. She loves to share her knowledge and experience with her friends and business colleagues. I hope you enjoyed this blog post about Instagram social media marketing tips to get real results and online income. Interested in more articles about Instagram social selling?